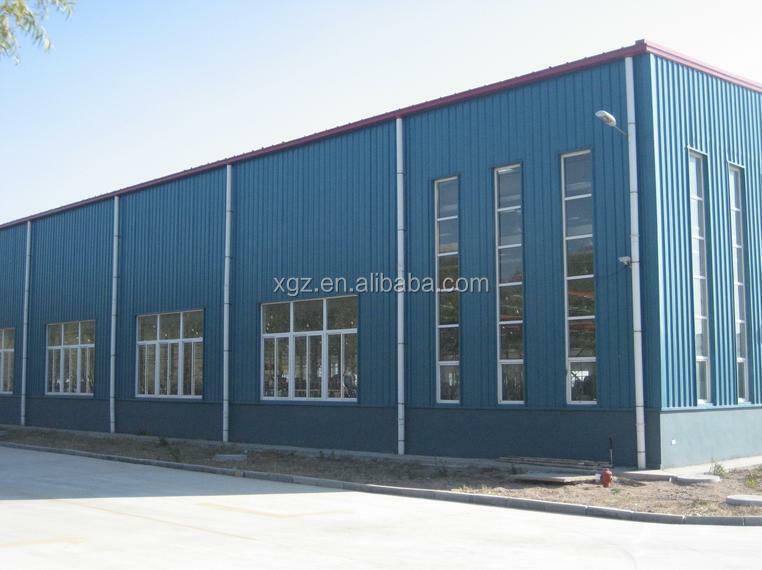 Industrial steel structure warehouse/workshop/hangar/garage/chicken shed, container house, prefabricated home, sandwich panel, welded H steel, C/Z channel, corrugated steel sheet, etc. A. 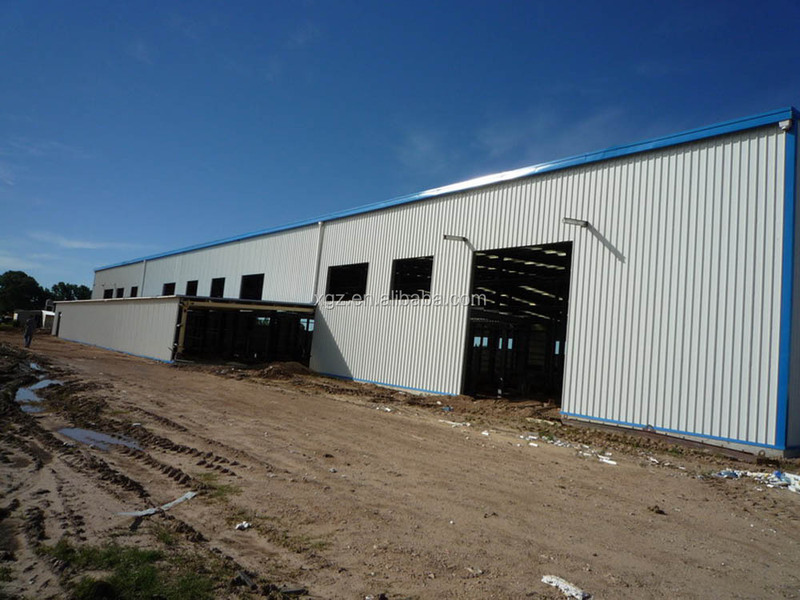 We have our own technical teams, so we can design, fabricate and install this steel structure workshop according to customers requirement. B. 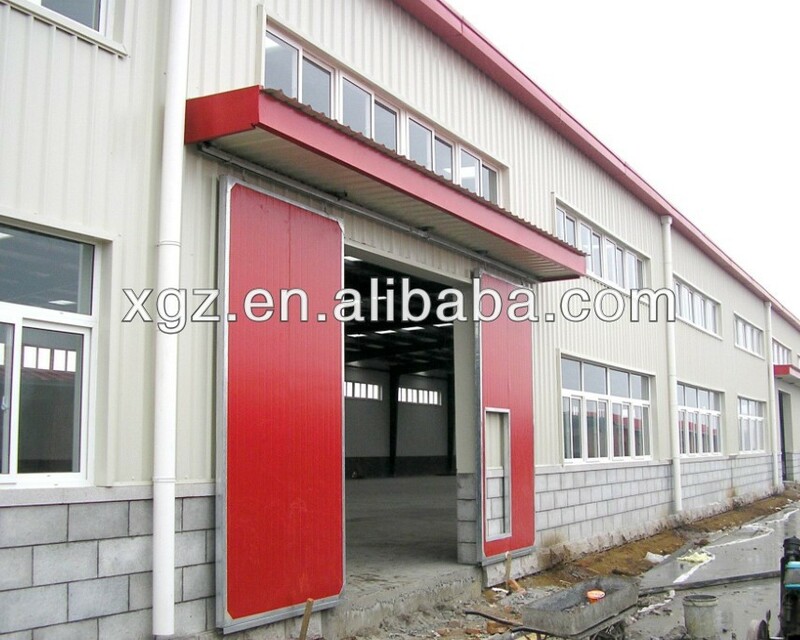 Its very easy to install the steel structure workshop in your there according to our installation drawings. 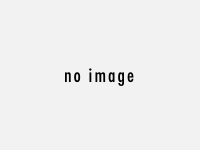 Also, we will supply all technical support during installation and after-sale service. a. 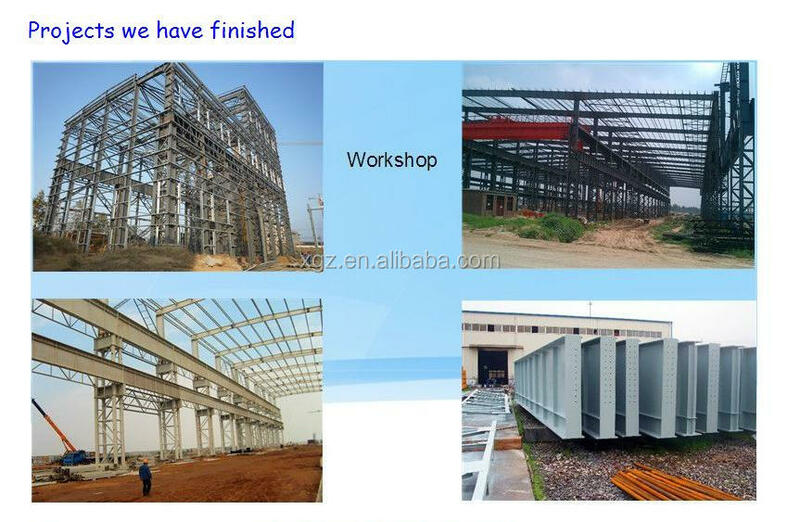 Clean the steel( reach to Sa2.5 Grade, China Code), then we will spray paint: 2 layer epoxy zinc rich primer and 2 layer antirust paint( total thickness: 100-120um); Warranty period: 18-20 years under normal conditions. 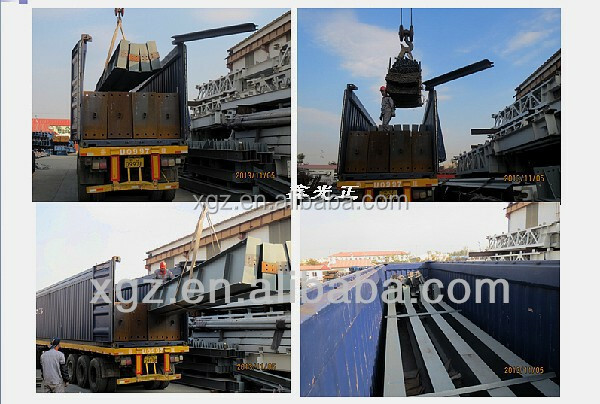 b. Hot-dipped galvanized, when the thickness of parts is less than 5mm,thickness of hot-dipped gal is more than 65um; when equal to or more than 5mm, that is more than 86um. Warranty period: 45-50 years under normal conditions. 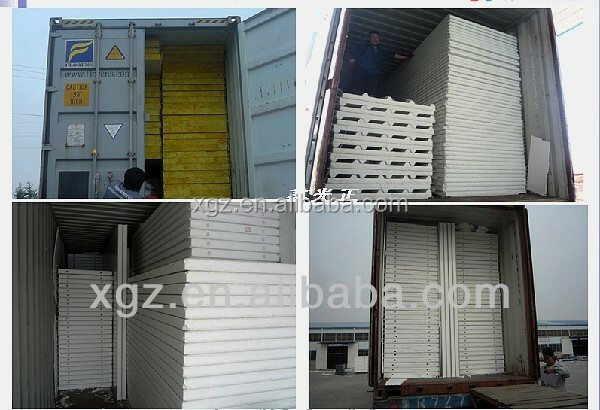 they have different thickness(50mm,75mm,100mm, 200mm), density, color, type, etc. 3. Local climate: Wind speed, snow load, seismic magnitude etc.